Beautiful custom built cabin with 3 bedrooms, 2 bathrooms, open floor plan, mud room, propane fireplace, and oversized 2 car garage on 1 acre. 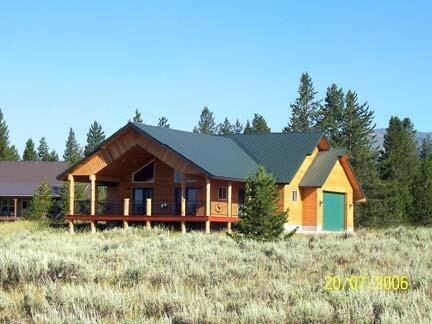 Enjoy the mountain scenery including the Tetons from the wrap around deck. Island Park Reservoir, snowmobile and ATV trails, world class fishing, restaurants and other local attractions are within minutes of this cabin. Year round accessible.